The marquee suite of new features in Pointwise Version 17.3 is its native coupling to overset grid assembly (OGA) tools. With these features you can use either PEGASUS or Suggar++ to compute the domain connectivity information for selected overlapping volume grids, both structured and unstructured. 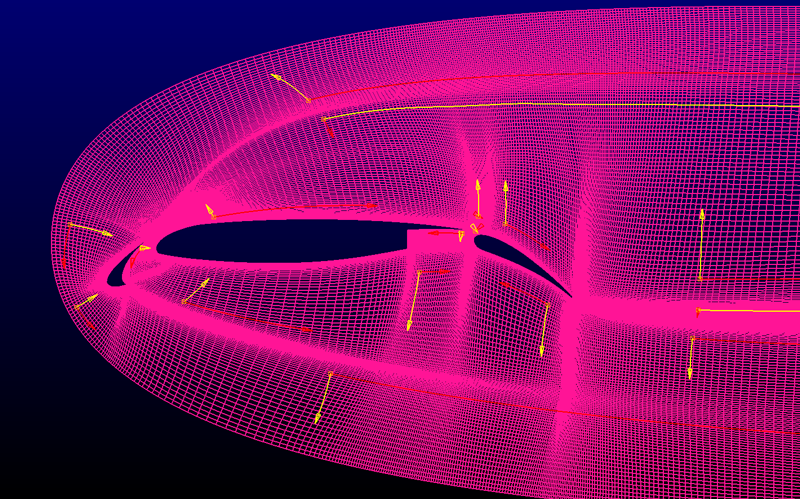 After integrating the connectivity information back into Pointwise, you will have diagnostics and visualizations to guide your mesh adjustments ensuring your grids have sufficient and proper overlap. This in turn ensures an accurate computational fluid dynamics (CFD) solution from your overset grid flow solver. With such a large and powerful suite of features it might be easy to overlook that Pointwise V17.3 also contains many other new capabilities that will help you make all types of meshes better and faster. Those of you using T-Rex (anisotropic tetrahedral extrusion) to generate boundary-layer resolved hybrid meshes know that the method's implementation provides copious amounts of control to achieve exactly the mesh you want. A new table (Figure 1) added to the top of the T-Rex attributes panel in the Solve command tallies information for all of the boundaries to which you have applied a Match boundary condition. This information provides guidance helping you consistently set similar attributes for the block in order to avoid skewed cells in the volume mesh. 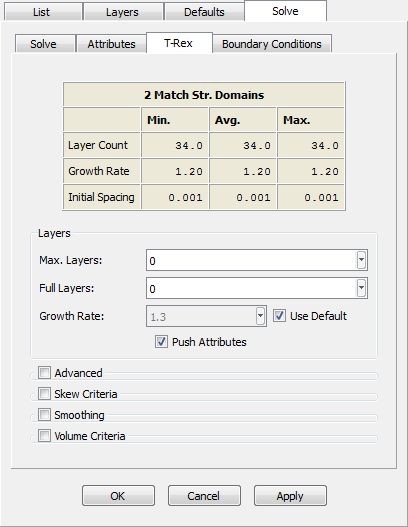 Figure 1: The table of T-Rex match domain attributes helps you maintain consistency between your surface and volume meshes. The Defaults panel (Figure 2) has been extended so you can now set default values for all T-Rex attributes. Because the method gives you control over many aspects of the meshing, the ability to set your preferred defaults is a time saver and ensures consistency. Figure 2: By setting defaults for your T-Rex attributes you ensure consistency and save time. 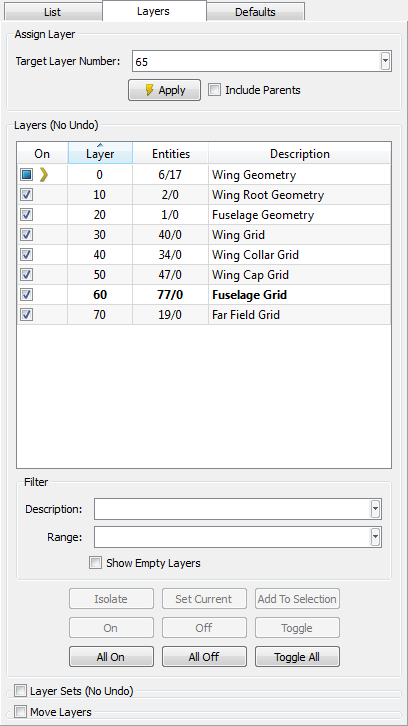 In the CAE, Select Solver panel (Figure 3) you will find new support for four CFD file formats. Figure 3: Native support for CFD solvers Code Leo, Edge, Gmsh, and LAURA is now available. 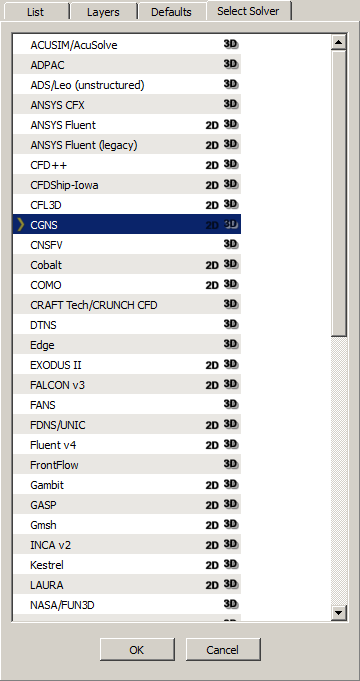 Several of the CAD geometry readers in the File, Import, Database menu have been updated as follows. CATIA V5 is now supported through R24. NX is now supported through 9.0. Plus, edge and face names are now imported so you can more closely couple the geometry and mesh. PTC Creo is now supported through M120. SolidWorks is now supported through v2014. 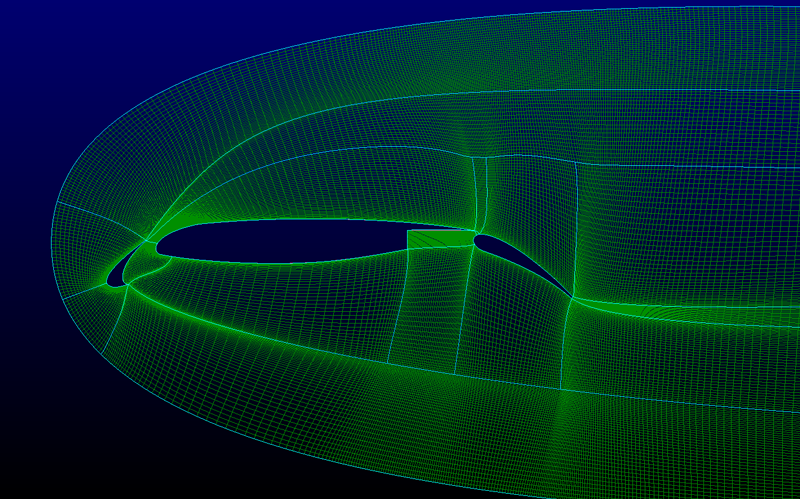 As you know, the Save command writes your entire mesh, geometry, and settings to a Pointwise native project file. But there are many times when it would be helpful to write just a few selected entities to a file. For example, you might want to share them with a colleague as the starting point for their new mesh. Now you can do this with the new File, Save Selection As command (Figure 4). This command automatically exports everything on which the selected entities depend (i.e. the parent entities). For example, selecting a domain will also result in its connectors and any associated database entities being saved too. Figure 4: Save just part of your mesh to a project file with Save Selection As. Just begin your next grid with File, Open Environment and voila: all your previous settings are ready for you to begin meshing. Even though it is not part of the official STL file format standard, it is part of the de facto practical use of the format. Therefore, Pointwise's import and export support for STL, both ASCII and binary, has been extended to support multiple bodies in the file. When exporting domains, their names are preserved in the file. When exporting blocks, the block name is used as a base name for naming all the faces. The Assign Layer Frame has been moved to the top of the panel where it gets primary visibility. 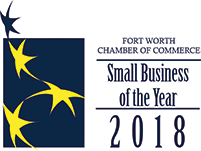 The text entry field for assigning selected entities to a layer was changed to now work like all other text entries in the program; you enter a number and press the Apply button. This allows repeated layer assignments to proceed much more quickly. For blocks and models, you now have the option to have the selected entities' parents also assigned to the layer. All layers that contain entities in the current selection are highlighted in the Layers table. Figure 5: Assigning entities to layers just got a bit easier with relocation of the Assign Layer frame and selection highlighting in the Layers table. 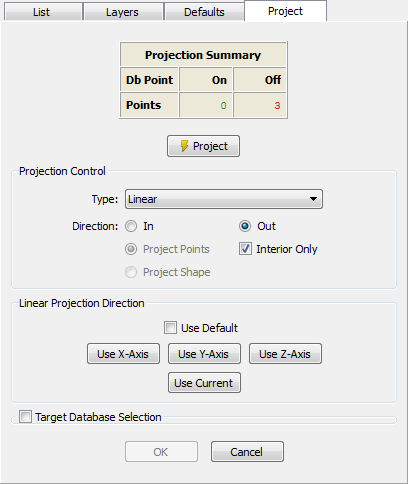 Two relatively small changes to grid projection onto the database geometry can add up to some big time savings. First, database point entities can now be projected. This is handy for ensuring that geometry properly adheres to the CAD model. Second, and probably more important, is the ability to project just a connector's shape, not its grid points. By way of background, keep in mind that a connector is defined by three components: its shape, its dimension (number of grid points), and its distribution function (how those grid points are arranged along the connector's length). 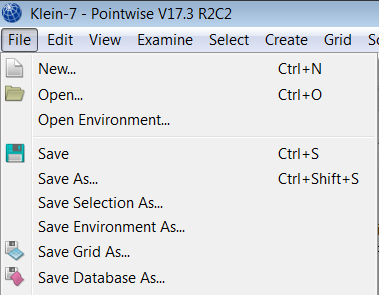 Previous versions of Pointwise assumed that when you projected a connector you also wanted each of its grid points projected in the same manner. The result was a connector consisting of a shape and distribution corresponding precisely to the projection of the original. To recover the distribution function, the variation of the projected grid points along the projected connector shape was splined and used thereafter as a distribution function of type “General.” While general distributions preserved the geometric act of projecting, they were “stiff” when you wanted to redistribute the grid points. Therefore, the Project panel now includes a pair of radio buttons (Figure 6) so you can choose whether to project a connector's points (the old way) or only its shape (the new way). In the latter case, the connector's existing distribution attributes (function, spacing constraints) are simply reapplied to the projected shape. This means the points may move a little bit relative to where they were before projection but you will have a distribution that's easily adjustable. Figure 6: The ability to project just a connector's shape avoids creating point distributions of the dreaded "general" type. You can now more easily comprehend and therefore edit the computational axis orientations of structured domains because the K axis (the one normal to the domain surface) is now displayed. This makes it much easier to see if any grids in a 2-D system are misaligned, which can cause problems in the flow solver. 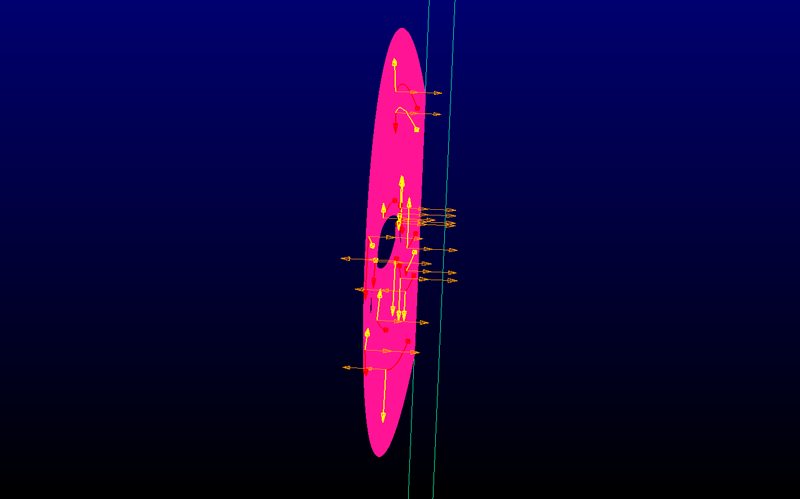 For example, the computational orientations of the 2-D structured grid for a multi-element airfoil (Figure 7) appear to be properly aligned in the old 2-D view (Figure 8) but it can be hard to know for certain. The simple addition of the 3-D view including the K axis (Figure 9) reveals several misaligned domains when the domain is rotated. Look at the K vectors pointing to both the left and the right; they should all be pointing to the same side (i.e. outward pointing normal). Figure 7: A 2-D multi-block structured grid for a multi-element airfoil. Figure 8: This 2-D display of computational axes doesn't show any problems. Figure 9: The 3-D display of the computational axes shows K vectors pointing to both the left and the right, indicating that the domains need to be aligned. Generating a complex 3-D grid often involves creating equally complex mesh topology to ensure that zones connect properly, especially if your grids are multi-block structured hexahedra. When components are not aligned with the X, Y, or Z planes you often have to draw curves, for example, with nothing but your eyeball as a guide. This is where the Drawing Guide (in the Preferences menu, Figure 10) comes in handy. Using it you can create an array of screen-aligned horizontal and vertical lines (with density, color, and transparency that control) that provide a “graph paper” type effect that aids your drawing. Figure 10: The drawing guide displays an array of horizontal and vertical lines that serve as guides for free form entity drawing. So even if you are not generating overset grids, Pointwise Version 17.3 has many new tools to speed along your meshing work. To try it for yourself on your grids, request a demo license today.